I don't see myself as a flat ankle boot kind of girl. That girl goes to concerts in dry places and wears flower crowns. Or she is a really great rock climber that goes to bars that don't serve charcuterie. Or maybe she's just laid back. 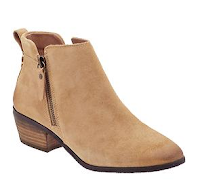 I'm none of the above and until I found these super simple, inexpensive Aeropostale ankle boots, I thought I couldn't pull them off. Lo and behold, they're a perfect shoe-closet addition to my wardrobe. I've worn them in the following ways on the blog before and am introducing some new remixes to the bunch below. 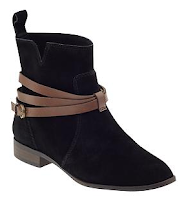 One of my favorite ways to wear these boots is for casual weekend events like a road trip or shopping in town. 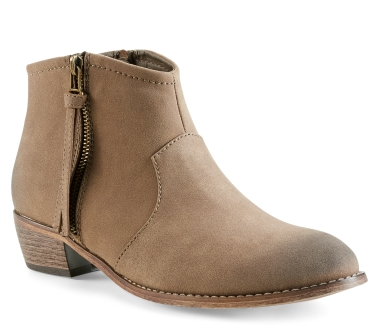 They defend against cold toes, sore arches, and look perfectly slouchy. No pretensions, just really easy style. A bunch of layers thrown into the mix doesn't do any harm either! 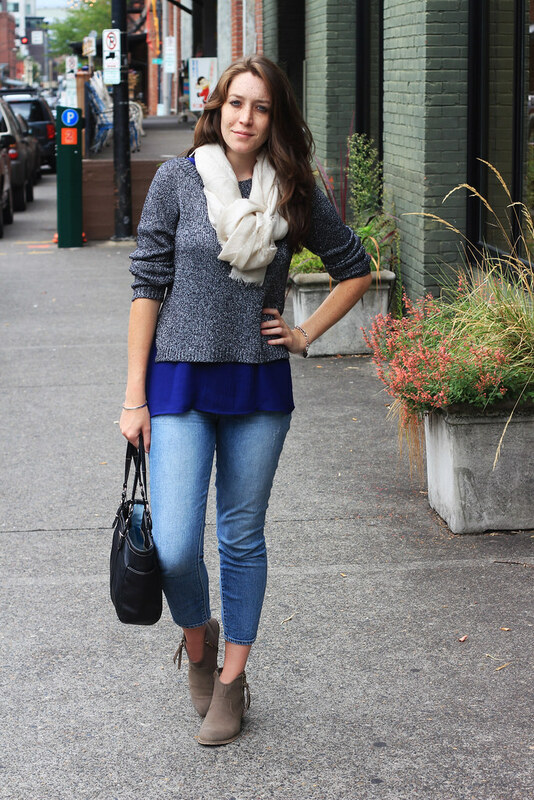 I think that jeans that end at the ankle give a great proportion with ankle boots, as well. This style of boot also works with multiple length jeans and though I'm not wearing boot cut or flared jeans right now, the below look shows them with a longer skinny pant. I'd really like to show off these boots under a jean leg as well - just a hint of boot toe and heel. Flat boots, and flat, taupe ankle boots especially, are a great way to de-sexify any outfit. Take a jersey wrap dress that can be very form fitting, add a cardigan and flat shoes and its immediately weekend wear. 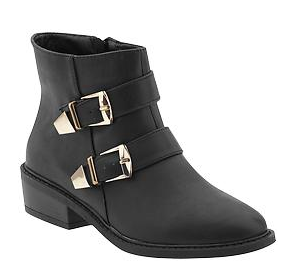 The outfit below is a monochrome take on these boots, yet they still stand out in the outfit. your last styled look is my favourite. I love all the booties you picked out. the second look is my favourite :) and great picks! I've seen your booties on another blogger too and they are such a cute pair! I love those little 'talk is cheap' booties, so cute. Great boots and great styling! loving all the different combos!!! LOVE! I love ankle boots with a small stacked heel, but I'm no fashionista and never really know how to pull it off. 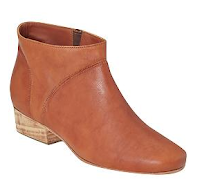 i really love these boots, and i can't believe they're so cheap! 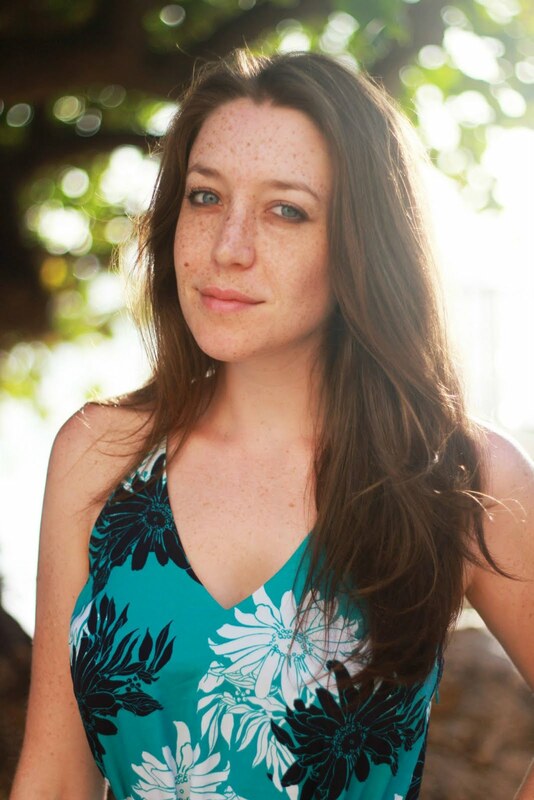 this is a great post idea btw -- so fun to see all the ways you have styled them. 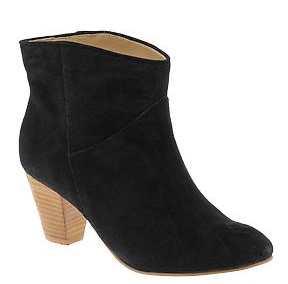 Ankle boots are so much fun! I love the way you're wearing the scarf to look like a vest! Super cute!